Brighten up your peaceful day with the right accessory. This pendant is not just an ordinary piece of accessory because it symbolizes your views and perspectives in life as well. About the style, you could surely rely on it to create a good look on you. 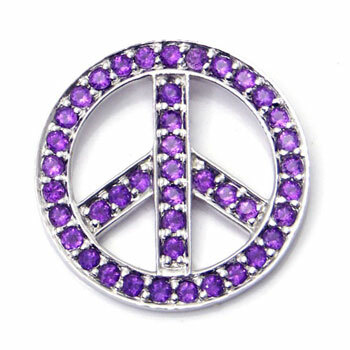 In addition to the white gold, the purple amethyst stones give a really gorgeous look. By wearing it, you will be the one who creates the trend among your friends.